Based on Google Blockly, it uses a simple puzzle-piece interface to program both hardware and virtual Linkbot and Lego Mindstorms NXT/EV3 for beginners to learn robotics, computing, science, technology, engineering, and math (C-STEM). Blocks can be executed in debug mode step-by-step. RoboBlockly can also direct control Arduino board. 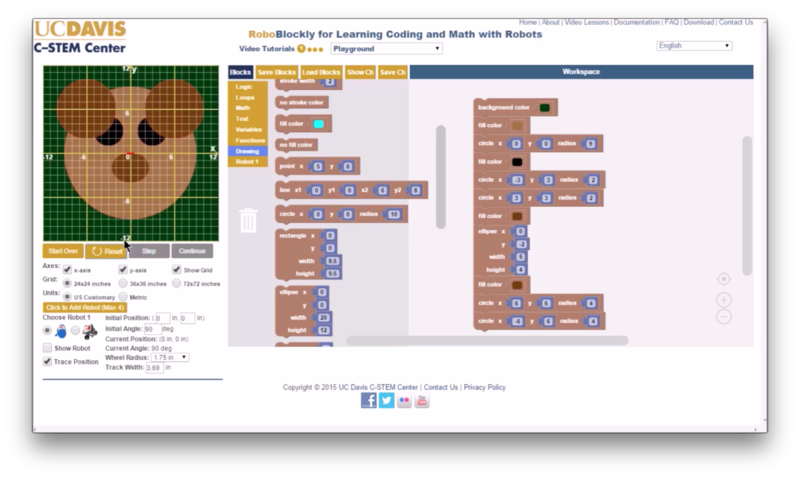 The RoboBlockly supplementary curriculum includes student self-guided Coding, Robotics, and Math Coding Activities, and theme-based Projects. The teacher can also lead 1st to 9th grade specific Common Core State Standards -Mathematics compliant activities . The related Teacher’s Notes and comprehensive Teacher Resource Packets in PDF files for all these activities along with 39 video lessons help teachers integrate the RoboBlockly curriculum into their teaching. Teachers can easily share their ideas and creations with the growing RoboBlockly user community through Roboblockly Activity Portal. Constructing programs with blocks also generates C++ code that can be readily launched and run in Ch without any modification to control hardware Linkbot and Lego Mindstorms NXT/EV3, or virtual Linkbot and NXT/EV3 in RoboSim. Users can easily share the saved RoboBlockly code for collaboration and learning. Users can also create and share their Board with different background for obstacle courses. Roboblockly can be used with any modern web browser on any computing devices including laptops, tablets, iPads, and smartphones, and is available in multiple languages. RoboBlockly is provided free of charge. At the peak, more than 10,000 students a day use the web site for RoboBlockly to learn math and computing with robotics. 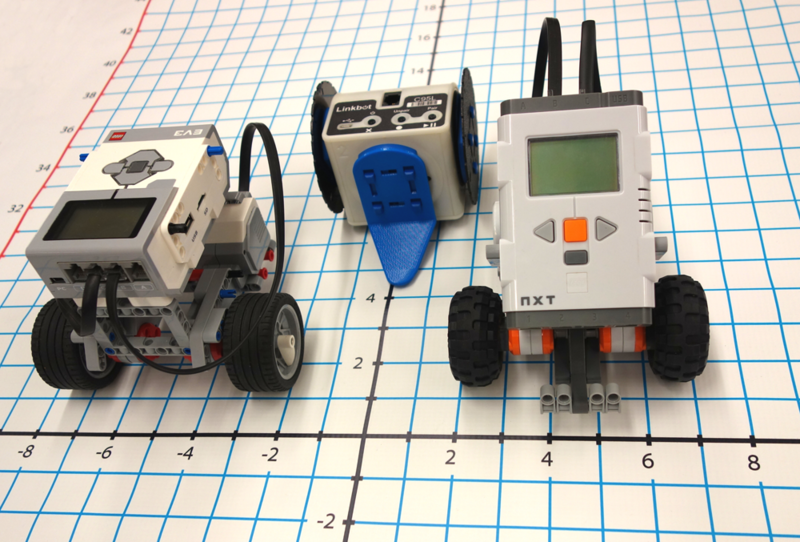 Read this story how a teacher use RoboBlockly with robots to teach students coding. 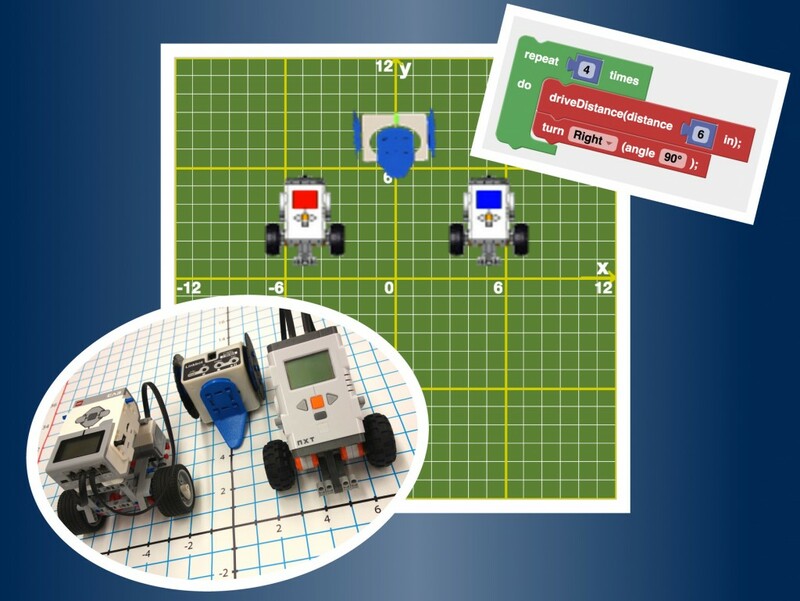 A sample video lesson on controlling multiple virtual Linkbot and Lego Mindstorms in RoboBlockly and hardware robots in Ch. A sample video lesson on artistic drawing in RoboBlockly and generated Ch code.